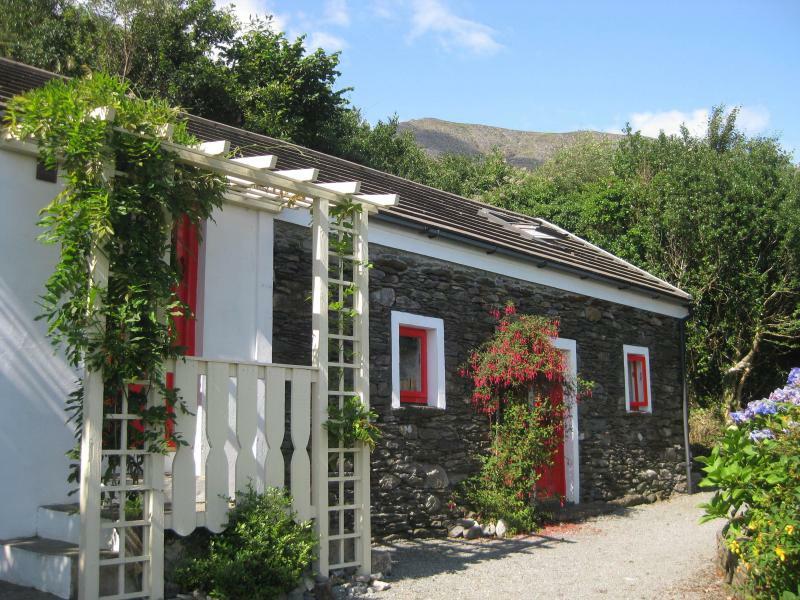 Please respect our old Irish cottage which has been restored to a very high standard & is extremely well maintained. The cottage is ready for guests from 4pm. Check-in time is between 4pm & 8pm. Please let us know on arrival day approx. what time you hope to arrive. Please leave the cottage clean and tidy & adhere to our departure time of 11am. Electricity is free & we want to keep it that way so please switch everything off when going out. Wi-fi signal can sometimes be intermittent & slow. We will welcome you on your arrival; take you around the cottage, show you all the features and appliances and give you the keys on your arrival. Even though we live 2 minutes away the cottage is completely private but we are available should you have any queries. Castletownbere is 10 mins drive away and is a major fishing port. The fishing fleets moor up in the harbour and bring ashore their catch of mainly white fish which you can buy fresh. The town has an good selection of shops including supermarkets, health foods, arts and crafts,a fine local butcher and pubs (such as MacCarthy's Bar as featured in, and on the front cover of the best-selling book of the same name by Pete MacCarthy). In addition,in the town square, you can buy German Crepes in summer months with a vast selection of fillings, cooked freshly while you wait, or you can relax in the variety of restaurants in the town and surrounding area, nearly all of which offer a mouth-watering selection of freshly caught and cooked local fish.